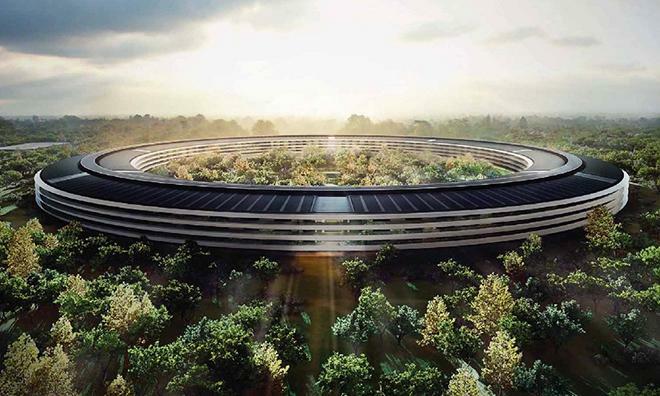 When Apple first revealed plans for a second, futuristic headquarters in Cupertino, California back in 2013, the whole world sat up to take note. For this was no ordinary corporate expansion plan, this was a 2.8-million-square-foot spaceship structure, situated in a man made forest on 176 acres of land that would house 13,000 employees all under one roof. Three years later, this drone footage shows just how much progress the tech giant has made so far on the “Apple Campus 2” project. The campus is far from complete but they’re really making progress fast. Apple expects to move within the next year. Check out this amazing footage below.